Never Mind The Mainstream on KUR (College Rock Radio): Lucky #7 airs tomorrow night - LIVE! Lucky #7 airs tomorrow night - LIVE! 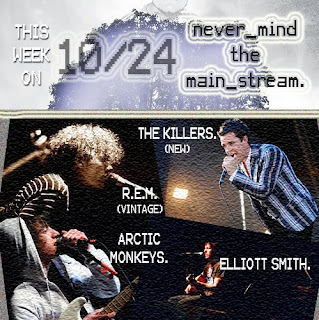 Never Mind the Mainstream is back LIVE tomorrow night from 6-8 PM. And Good Lord is it going to be great. New tunes from Tokyo Police Club and Modest Mouse and the very latest single from The Killers (yes America, they're good again!). Our show is very "rock" tomorrow and that's all the heads-up you'll get from this blogger. Tune in on kur.kutztown.edu. P.S. We'll have a shadower in the studio with us, as well. Look forward to us making him feel awkward on-the-air.